Entertaining outdoors is an Australian way of life. It’s a way we can connect with our family and friends and make the most of our fabulous Australian climate. Our Natura experts have put together their top five ideas to make the most out of your backyard. Doors are a great way to connect your internal living spaces to the outdoors. There are a number of varieties that will suit the style of your home. Bi-fold doors fold back bringing the outdoors inside. French doors are another gorgeous style to add character and a French provincial feel to your home. Decking not only looks fabulous but it creates a usable area for your outdoor alfresco living. Choose the type of timber you like best to give the deck the look and feel you desire. Red gum for a bright inviting area or why not try some recycled varieties for that rustic, natural feel. Protection from the elements is an essential feature when planning your outside area. There are a few options to choose from. Fixed covers such as a Colourbond patio will provide a permanently protected area. Retractable shades are a nice way to set the cover to what you desire or a cheaper alternative is a shade sail. Whilst these are not completely wet weather proof they do protect from the harsh summer sunrays. 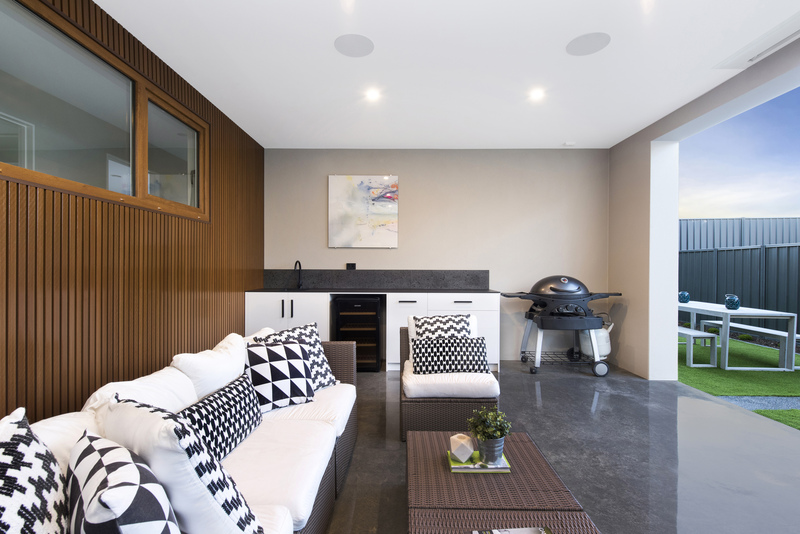 Outdoor kitchens are a fabulous modern way to entertain without having to be separated from your guests while you prepare the summer foods in the kitchen. Make cooking fun and install a BBQ and sink for easy use and clean. A professional landscaper will design a garden to make your outdoor space and absolute delight all year round. Try a collection of Australian natives to really capture that Australian summer feel. At Natura, we specialise in designing and building luxury homes that embrace our love of outdoor living. We bring our expertise and years of experience to create a home that suits your family, your lifestyle and the way you like to entertain. Give us a call today to discuss your home design for 2019.